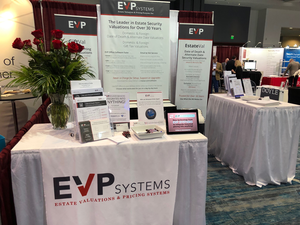 The Heckerling Institute on Estate Planning holds its annual conference in Orlando, Florida every January, and Estate Valuations & Pricing Systems is always there. This year is no exception, and we're premiering EVP Office 8.3 and featuring EVP Everywhere. If you're at the conference, please come by Booth 328 and say hello! We'd love to see you. EVP Office 8.3 offers tons of new features and fixes, but the highlight is cryptocurrency pricing. EstateVal can now price over a dozen virtual currencies, from Bitcoin to Stellar, and is the first and only historical securities pricing system for estate taxes to be able to. Cryptocurrencies are volatile and controversial, but with a total market capitalization well into the hundreds of billions of dollars, they are showing up in more and more portfolios. You may not need to evaluate cryptocurrency today, but you probably will some day, and EstateVal will be ready. Other prominent features of 8.3 include the ability to merge portfolios and preserve their evaluation data, and even better data entry warnings and alerts. EVP Everywhere is a platform that allows third-parties to integrate EstateVal's accurate and detailed pricing into their own applications. TEdec Fiduciary Accounting Software has already released a version that allows users to instantly price their holdings, without leaving TEdec. EstateWorks Settlement and Planning Solutions and the Gillett Estate Management Suite (GEMS) are also working on integrations. "Alexa, ask EstateVal to price IBM for November 15, 2016." For a November 15th, 2016 date-of-death, INTL BUSINESS MACHINES CORP. (IBM) had a value of $158.35 and an accrual of $1.40, for a total value of $159.75 per share. 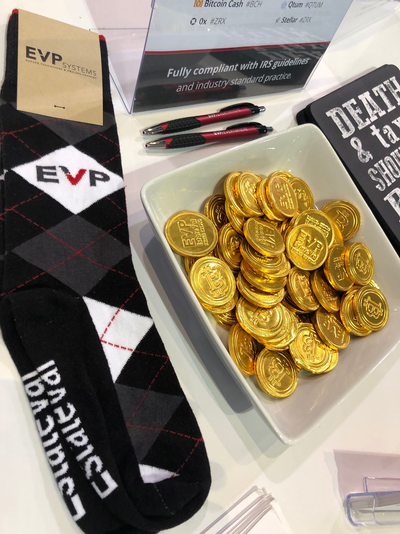 And if you're heading back to climates a little colder than Orlando after the conference, we have custom EVP Systems socks! If you're not at Heckerling, and would still like to keep your feet warm, please take our Tax, Trust, and Accounting System survey for a chance to win a pair of your own!